From Washington to Hyde Park, from a little white house on Long Island to an apartment on Manhattan's Washington Square, Amy Bloom's new novel moves elegantly through fascinating places and times, written in compelling prose and with emotional depth, wit, and acuity. 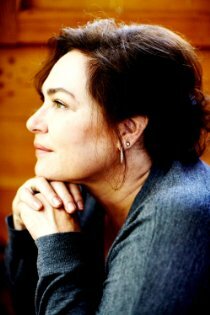 AMY BLOOM is the author of two novels and two collections of short stories, one a nominee for the National Book Award and the other a National Book Critics Circle Award nominee. Her stories have appeared in Best American Short Stories, Prize Stories: The O. Henry Awards, and numerous anthologies here and abroad. She has written for the New Yorker, the New York Times Magazine, the Atlantic Monthly, Vogue, Slate, and Salon, among many other publications, and has won a National Magazine Award. Her first book of nonfiction, Normal: Transsexual CEOs, Crossdressing Cops, and Hermaphrodites with Attitude, is an exploration of the varieties of gender. A practicing psychotherapist, she lives in Connecticut and teaches at Yale University. Multiple Audie®; Award winner Barbara Rosenblat has been named a "Voice of the Twentieth Century" by AudioFile magazine. The New York Times writes,"Watch Ms. Rosenblat work...and you get the sense that even an Oscar winner might not be able to pull this off." She created the role of "Mrs. Medlock" in the Tony®; Award-winning Broadway musical The Secret Garden.